MeTV Network, Memorable Entertainment Television announced from NATPE an agreement with Broadcast Partners LLC and its Classic Media Library. MeTV will be adding a weekend morning animation block featuring multi-generational favorites such as Gumby, Mr. Magoo, He-Man and She-Ra. The programming will be added to the MeTV schedule beginning in the second quarter of 2012. Me-TV affiliates will have the option of carrying additional programming including the live action classics: Timmy and Lassie Hour; and The Lone Ranger; as well as the animated series: The Archies; Ghostbusters; Casper and Friends; and Bravestarr. 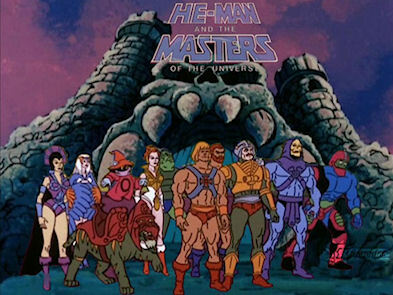 Neal Sabin, President of Content and Networks for Weigel Broadcasting Company, says He-Man is celebrating its 30th anniversary this summer. MeTV is now seen in more than 73% of the country. Elsewhere at NATPE, in only four months, Katie Couric's highly anticipated nationally syndicated talk show, Katie, has already been cleared in 93% of the country. Katie will premiere on leading stations across the country in September 2012. Disney-ABC Domestic Television has secured outstanding station clearances and key early fringe time periods for the LIVE one-hour daily daytime talk show. Sales to date include 95 of the top 100 markets. In addition to the ABC Owned station group, Katie has also been sold to leading stations from broadcast groups including Allbritton Communications, Belo Corporation, Cox Media Group, Gannett Broadcasting, Granite, Griffin, Hearst Television, LIN Broadcasting, McGraw-Hill, Media General, Meredith, Raycom, Scripps Howard Broadcasting, Sinclair and Young Broadcasting, among others. We'll have more from NATPE tomorrow with our annual look on what is being offered in first-run syndication and new off-network series. Lifetime TV has made a last minute schedule change that will start next week (Monday, Jan. 30). It is a minor schedule change, but they will remove Reba from its weekday mornings at 8:00am & 8:30am timeslots. Instead, they will add another hour of Will & Grace, which already airs from 9am-11am. No word on when Reba will return, but it has been pulled before but it returned quickly after. No other schedule changes are being made at Lifetime TV, so expect Old Christine from 11am-1pm, Desperate Housewives at 1pm, Grey's Anatomy at 2pm & 3pm and an hour of How I Met Your Mother at 4pm to continue in daytime. From 5pm-4am will be a mix of original series encores and actual original series in primetime, like Dance Mom, America's Most Wanted and Project Runway. Lifetime also airs Wife Swap on some nights. In other Lifetime news, in its world premiere Saturday night, the Lifetime Original Movie Drew Peterson: Untouchable, starring Golden Globe(R) and Emmy(R) Award nominee Rob Lowe (Parks & Recreation, Brothers & Sisters) and Kaley Cuoco (The Big Bang Theory, 8 Simple Rules), generated record viewership, averaging 5.8 million Total Viewers, making it cable's most watched original movie in the demo in two years since Lifetime's The Pregnancy Pact on January 23, 2010. Additionally, the 5.8 million Total Viewers represent a 241% jump versus Lifetime's original movie premiere average in 2011. Based on a true story about police officer Drew Peterson's (Lowe) fall from grace after the mysterious disappearance of his fourth wife (Cuoco), the movie posted Lifetime's best numbers for an original movie premiere among the key demos since the January 3, 2011, debut of The Craigslist Killer, including 2.5 million Adults 25-54 viewers (+233% vs. the network's original movie premiere average in 2011), 2.2 million Adults 18-49 viewers (+210%), 1.8 million Women 25-54 viewers (+215%) and 1.5 million Women 18-49 viewers (+178%), according to Nielsen Research. Drew Peterson: Untouchable also generated a 4.25 Household rating (+223%). It was a really good movie and Rob Lowe did a great job with perhaps an Emmy nomination coming? Anyway, we'll have more on Lifetime should anything change, so stay with us!